Early on in the effort to get the Memorial built, there were traces of controversy. 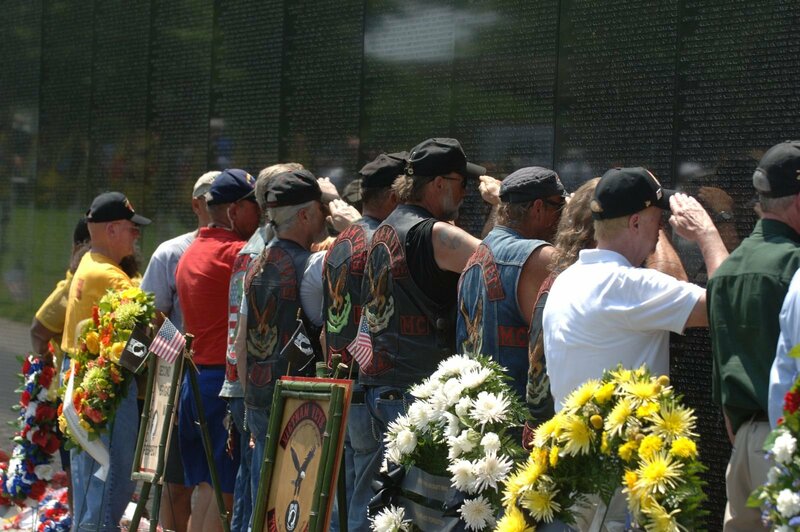 Some felt that the money to build a memorial could be better spent delivering the many services veterans needed. 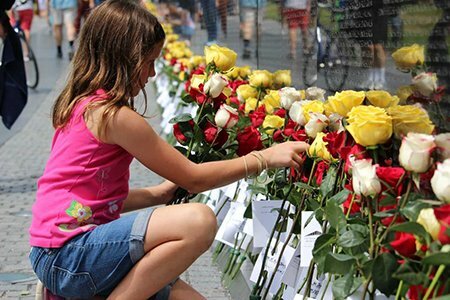 Others questioned the intent of the Memorial. 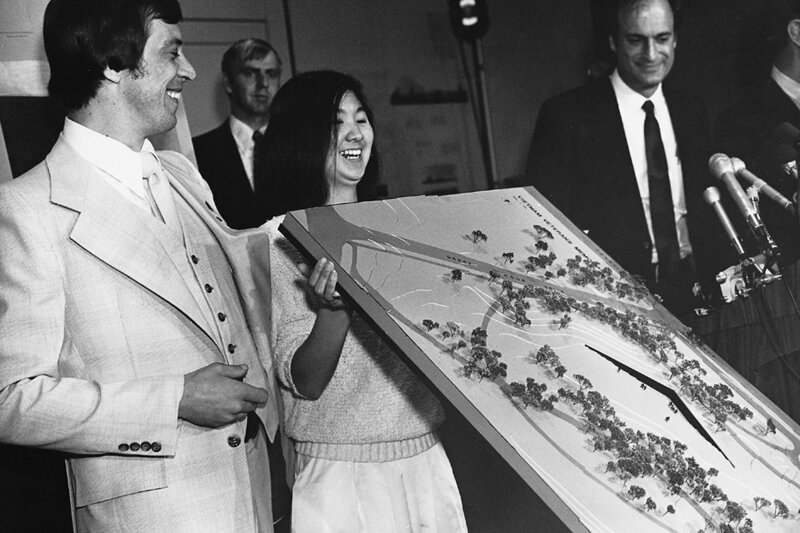 When VVMF announced the selection of Lin’s design, the initial public reaction was generally positive. But several weeks after the announcement, a handful of people began to protest the design. A few of the most vocal opponents, including James Webb and H. Ross Perot, had previously been strong supporters of a memorial. They complained about the walls being black. They did not like the idea that it was below ground level. They did not like its minimalist design. They felt it was a slap in the face to those who had served because it did not contain traditional symbols honoring service, courage, and sacrifice. Some opponents simply did not like the fact that Lin was a young student, a woman, and of Asian descent; how in the world could she possibly know how to honor the service of the Vietnam veteran? Lin moved to Washington and immediately became part of an internal struggle for control of the design. To bring the design into reality would require an architect of record. 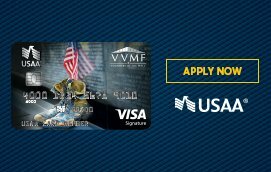 Lin and VVMF eventually selected the Cooper-Lecky Partnership as the architect-of-record, with Lin as the project’s design consultant. By early 1982, VVMF asked Warner to bring together both sides for a closed-door session to hammer out the issues. An article by Hugh Sidey in the February 22, 1982, issue of TIME magazine described the session: “A few days ago, 40 supporters and critics of the memorial gathered to try to break the impasse that threatened the memorial because of such features as the black color of the stone and its position below ground level. After listening for a while, Brigadier General George Price, a retired veteran of Korea and Vietnam, stood in quiet rage and said, ‘I am sick and tired of calling black a color of shame.’ General Price, one of America’s highest-ranking black officers lived with and advised the 1st Vietnamese Infantry Division. 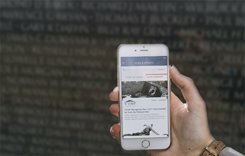 VVMF agreed to the statue compromise, as well as to adding a flag and to reviewing the inscription on the Memorial, but they did not want to wait until a statue was designed before breaking ground. Waiting meant they would never reach their dedication deadline of November 11, 1982. Over several tense weeks, more debate followed, until CFA and NCPC gave their approval for a statue and flag in concept, pending suitable placement of those elements. Watt followed on March 11, 1982, by granting permission for the construction permits. 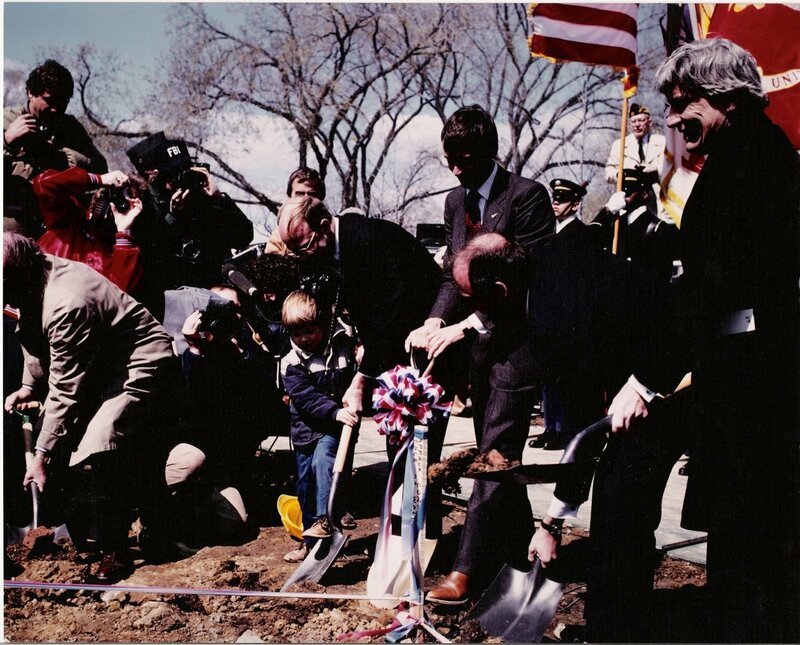 An official groundbreaking ceremony was held on March 26, 1982. General Price, along with Senators Warner and Mathias and future Secretary of Defense Chuck Hagel, gave moving addresses before the command was given, and 150 shovels entered the ground with enthusiastic veterans enjoying the moment.